©2017 49” x 65” Signal flags provided a means of communicating tactical and strategic information for Union and Confederate armies. Made from seven colors of cotton or linen, flags were chosen to provide optimal visibility under various weather and lighting conditions. 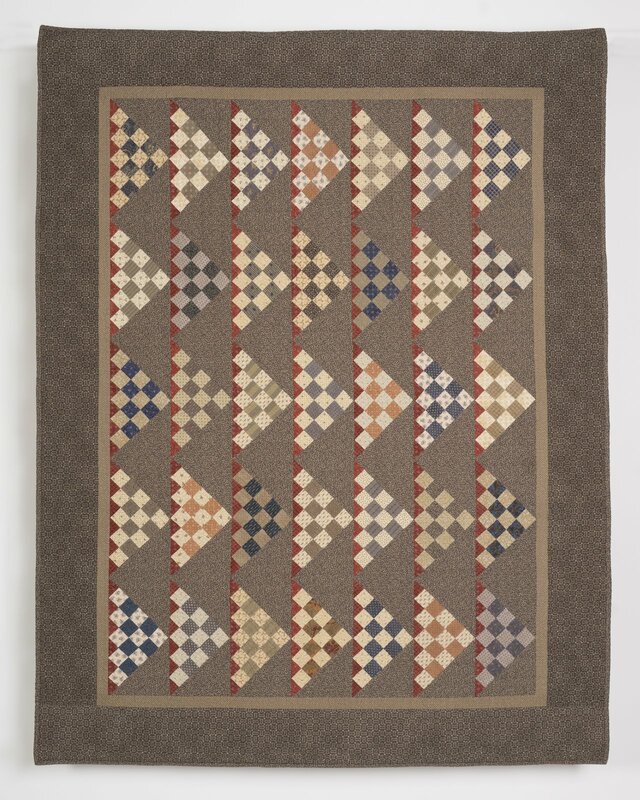 The flag units used in this quilt measure 7 1/2” and contain a variety of red, blue, gray, brown, and light prints.